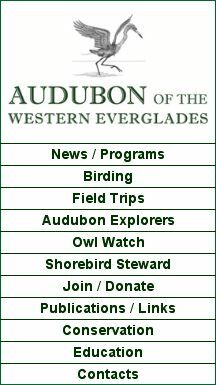 Download the 2018-2019 program schedule for Audubon of the Western Everglades programs by clicking HERE. Reservations are required for all programs. The November-April programs are in the Kapnick Center at the Naples Botanical Garden (directions) at 7 pm unless otherwise noted (members free, non-members $10). Seating is limited. If you would like to sponsor our refreshments, ads, or just your own reserved chair for our Programs this season, please call Lori at the Audubon Office at 239-643-7822. Any help would be appreciated! "Bernie was not only a rigorous scientist, whose work still guides efforts to restore Naples Bay today, he was a great human being. He knew how to communicate with policy makers and regular people. He will be missed!" said Eileen Arsenault, President of Audubon of the Western Everglades. Nathaniel Pryor Reed was instrumental in the creation of the biggest national conservation policies of the last 50 years, including the Clean Water Act and Endangered Species Act. His passion was invested most clearly in his love and work to restore the greater Everglades, including establishment of the Big Cypress National Preserve. Mr. Reed was recognized and spoke at two Audubon of the Western Everglades Galas including in 2013 when he was named a 'Guardian of the Everglades'. "Nathaniel Reed's contributions to Florida's and this nation's conservation legacy are monumental. With his pivotal role in creating the Big Cypress National Preserve here in Southwest Florida, we have a foundation on which to extend his legacy long into the future," said Mimi Wolok, Executive Director for Audubon of the Western Everglades. Audubon of the Western Everglades is sorry to report that long time supporter Robert William Morris passed away on June 26, 2018 at the age of 95. Bob came from a storied line of musical entertainers, was a performer himself, an inspiration at his local gym, and generously supported Artis Naples, Avow Hospice, and the Community School. Our sincerest sympathies go to Bob's wife, Linda, his two daughters, their spouses, four grandchildren, and two great grandchildren." For more information on Robert click HERE. Jean Hall, coastal seabird steward, Burrowing Owl protector, and general conservationist, received the highest environmental award that Audubon of the Western Everglades offers at the Feathers & Friends Gala. Read about Hall and the award by clicking HERE. Thank you to all who attended our Feathers & Friends Gala on Thursday, February 1. You helped make it a great success, our best Gala yet! Also, thank you to our sponsors: Arthrex, Stephen & Sharda Spahr, FPL, Cummings & Lockwood, and Naples Trust Company. Lu was a Board Member of Collier County Audubon Society and its successor Audubon of the Western Everglades for over 20 years and a firm believer in its conservation and education work. Early on in his years on the Board, he volunteered to serve as Treasurer thinking no doubt that it would be temporary and little realizing that he was accepting the position for life. He kept our books, filed the much reviled 990 Tax forms, manned the contributions jar at our programs, and served as the voice of financial reason on the Board. "What a great idea," he would say. "Now how are we going to pay for it?" He was at work helping us pack for the move to a new office two days before he suffered the stroke that eventually took his life. The Florida Wildlife Commission (FWC) has issued an alert about Northern Cardinals dying in Florida due to bird feeders not being cleaned regularly. Learn the symptoms of sick birds and how to prevent illness and death by clicking HERE. Audubon of the Western Everglades member Roseanne Pawelec has published a children's book, Ollie Finds a New Home, and is donating one dollar from every sale to the Owl Watch program. Read the article in the Naples Florida Weekly by clicking HERE. Please read the article about Marco Island's Burrowing Owls and the need for help monitoring the 182 nests. To help, click the "Owl Watch" tab at the left. Please read the guest editorial from the April 5, 2016, Naples Daily News. This is a fundamental strategy (collaboration on the incentive-based ways to engage landowners) AWE and our allies employ to protect large landscapes of habitat in the Western Everglades. Read about our collaborative efforts with other organizations to protect the Florida Panther and its habitat through the Florida Panther Protection Program. In addition to the 2015-2016 programs listed in the left column, 2015-2016 field trips are posted (click on the Field Trips tab at the left). Space on some trips is very limited, so reserve a spot early! Also, the 2014-2015 Annual Report is posted on the Publications page. Thank you to our sponsors of this year's Feathers & Friends Gala that was held on Thursday, February 11, 2016. 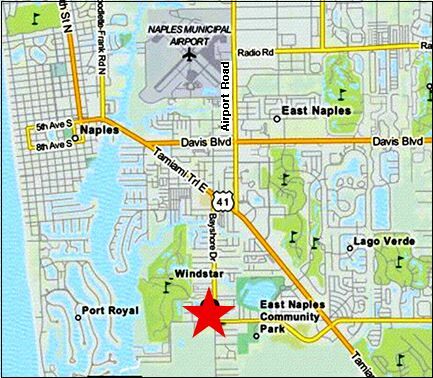 The Naples Botanical Garden is located at 4820 Bayshore Drive. 1. From US 41 east, take Bayshore Drive south. 2. Travel 1.5 miles to stop sign at Thomasson Drive. 3. Keep straight, staying on Bayshore and enter the Garden on the right.